The concert at La Plata stadium before the massive crowd was by far the loudest show of the tour, and maybe one of the loudest audience support Pearl Jam have ever enjoyed. 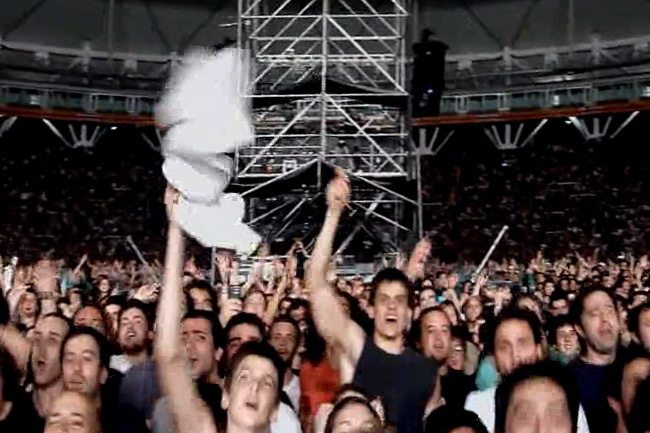 Watch to the memorable crowd singing between "Black" and "Better Man" - this is South America! This is an audience video of the full show, multi-camera edited, picture quality is very good, by @RogerioMoraesRJ. Audio is sound-board.